Lamp series with hi-fi inspiration: The Danish designer Simon Legald has created the refined Amp lighting series for Normann Copenhagen. Glass and marble provide visual lightness and sensual heaviness. A look that is nostalgic and yet modern. The glass for the Amp pendant lamp can be ordered separately in case it breaks and is available in every form of the pendant series and in any matching colour. The idea for the shape of the Amp luminaire came into being when the designer Simon Legald was restoring an old 60s radio at home. While searching for a replacement part for the radio he noticed the shimmer of the tube amplifier. The simple, oval-like shape and lampshade are a reference to it - just like the lamp's name 'Amp'. The proportions of the Amp lamps by Normann Copenhagen have been designed carefully. 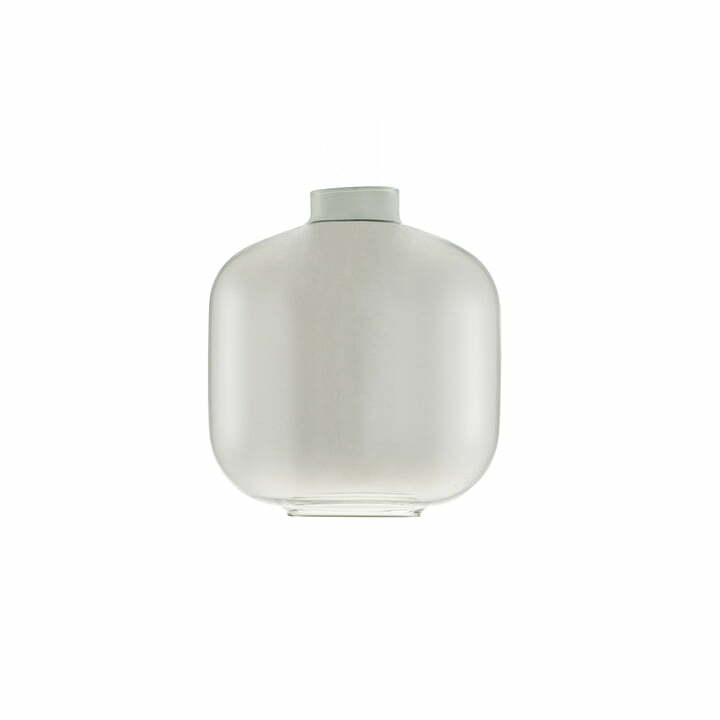 Individual image of the spare glass for Amp pendant lamp small by Normann Copenhagen in smoke / black. The glass for the amp pendant lamp can be ordered separately. 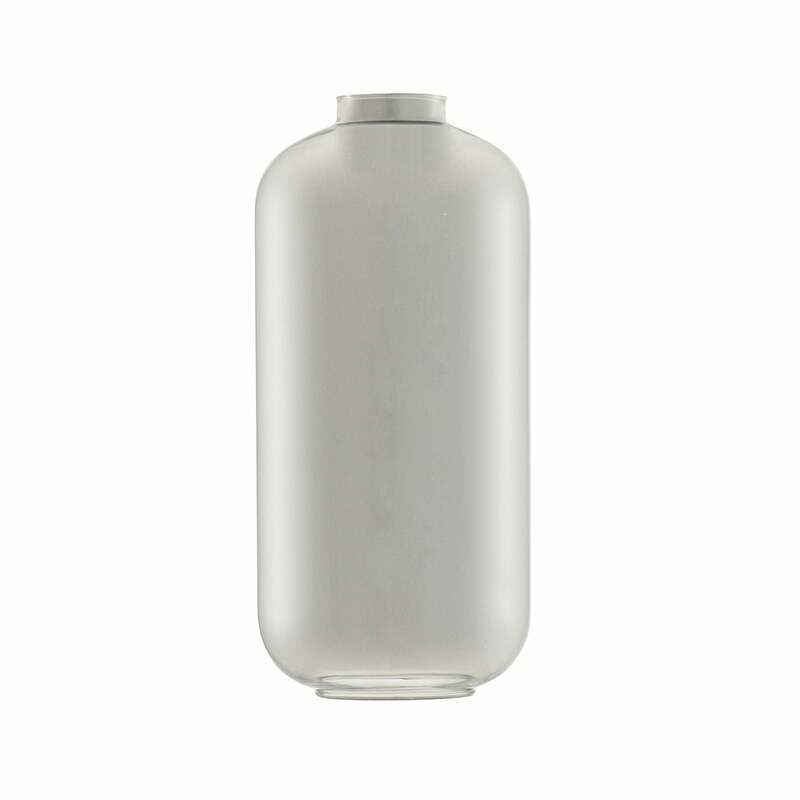 Individual image of the replacement glass for Amp pendant lamp large by Normann Copenhagen in smoke / black. The glass for the amp pendant lamp can be ordered separately. Individual image of the spare glass for Amp pendant lamp small by Normann Copenhagen in gold. The glass for the amp pendant lamp can be ordered separately. Individual image of the replacement glass for Amp pendant lamp large by Normann Copenhagen in gold. 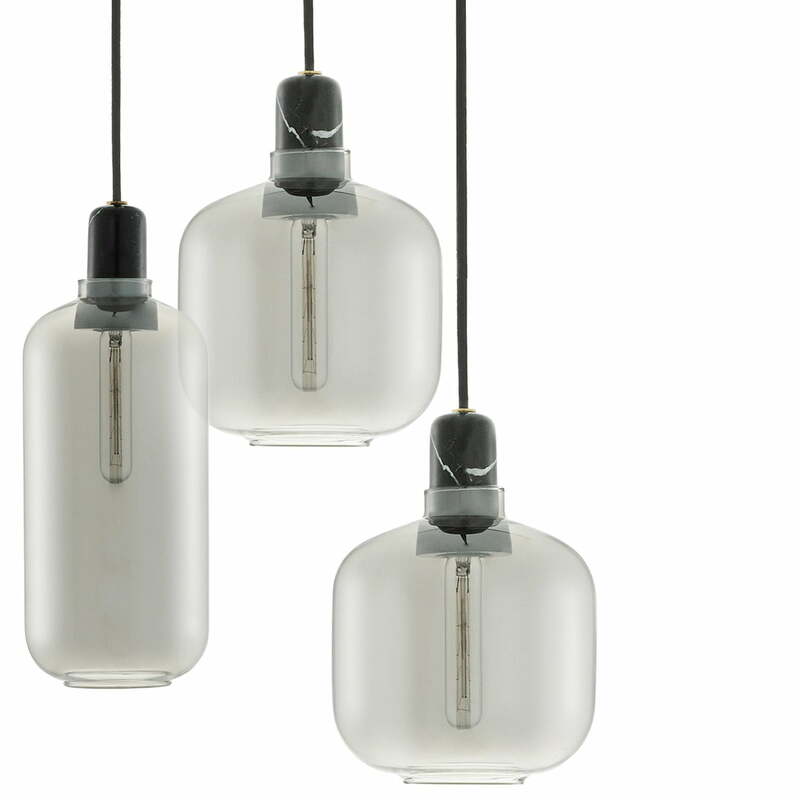 The glass for the amp pendant lamp can be ordered separately.